Welcome back to the Butterfly Book Club. This week we’re talking about a unique and thought-provoking book sent to me by the kind folks at Flying Eye Books. You’ll notice that as a publisher they focus on more quirky, unusual picture books and The Journey is a good example of this. Firstly, the book itself is so beautifully made with an almost rustic feel. It feels very timeless and I imagine it would last for many years, even in the hands of a small child. 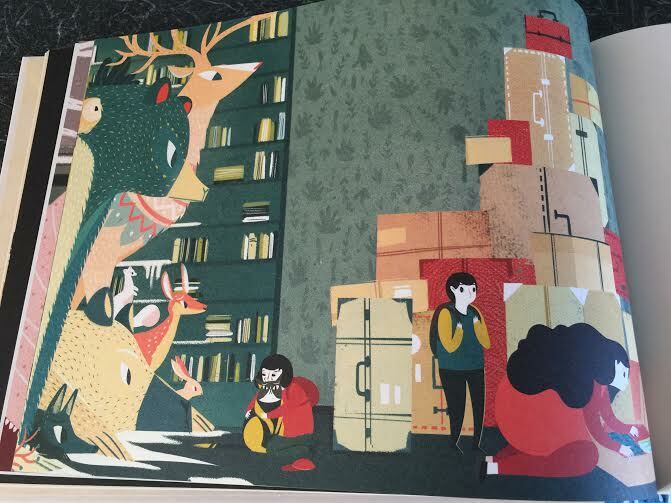 The illustrations use a gorgeous colour palette and are distinctly European in their style. They are beautifully detailed and each page is a real feast, you notice new things every time you read it. Perfect pictures for telling this somewhat intense story. For a children’s book, this is a pretty serious storyline. It follows a family of refugees who flee their home following war and their father’s death. Peppa Pig this ain’t! Told from the perspective of a young child, it is a truly eye-opening account of the fear, uncertainy and danger faced by many desperate migrants. The story has been inspired by the real life, personal accounts of dozens of people from various countries who the author seeked out in order to give a face to the political terms ‘migrant’ and ‘refugee’, and on this score it definitely delivers. As a picture book, this made me a little uncomfortable at first as it’s a pretty a harrowing plot for a preschooler to handle. However, on reflection, I realised that we shouldn’t shy away from these issues (which are very relevant, given recent events). Although be warned, reading this book together could mean you face some provoking questions from slightly older children. 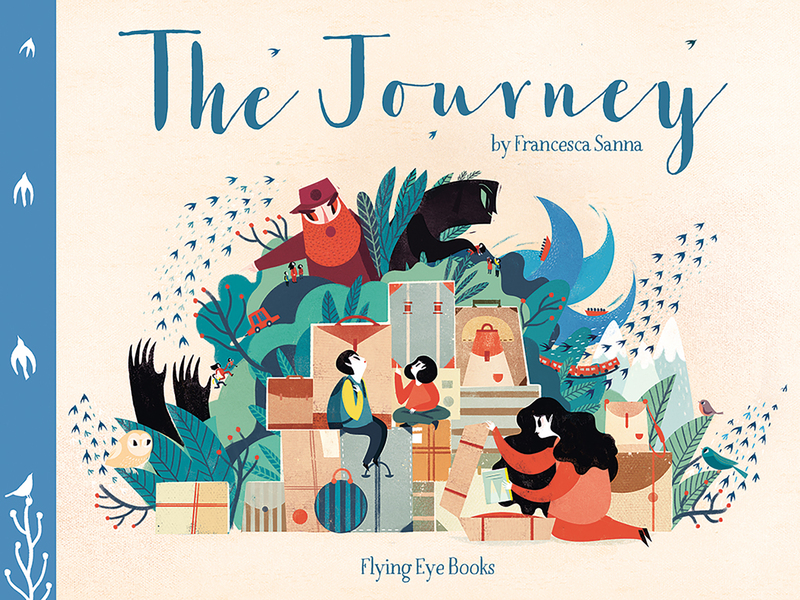 Putting the refugee theme aside, this is also an adventure story – complete with boats, forests and trains – which will certainly engage your little ones. Another theme I personally enjoyed is the power of mother’s love and the lengths this mum will go to to give her children a better life. 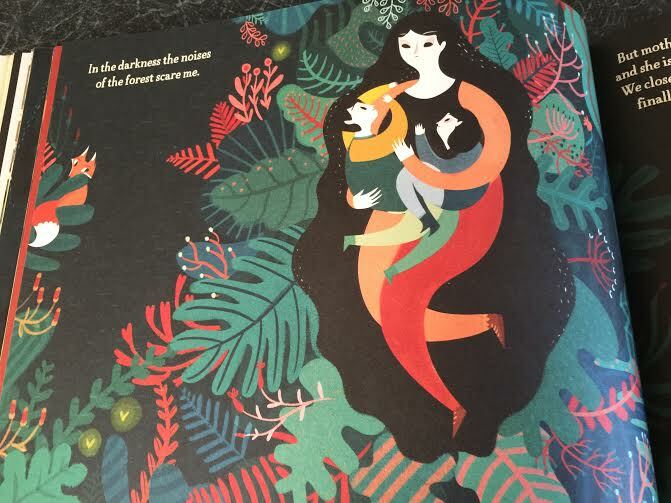 An unusual, challenging, and delightfully tactile picture book that will haunt you long after the close of the final page. To buy your own copy, visit Flying Eye Books or find them on Twitter or Facebook. I’ve read lots of great reviews of this book. It sounds like it’s a book that will help children to understand the refugee situation, especially as it’s already having an impact on their lives. This sounds a brilliant book, maybe for children of around 5 or 6 to help them learn more about the world around them. The illustrations look beautiful. Wow, not sure how I’d feel reading that to tiny kids. Love the illustrations though. Maybe for slightly older ones who can have a proper discussion about it. I’ve heard so many good things about this book, it’s I’m my to read list. Such a relevant and important topic too. Hi Laura, the illustrations look wonderful. And even if the story makes for slightly uncomfortable reading for parents, it is a modern day issue that cannot be ignored. Then again Goldilocks and the Three Bears or Little Red Riding Hood can make for uncomfortable reading too and don’t get me started on the Three Billy Goats Gruff! Maybe a little discretion on the part of the parents is needed when reading the story to a child as some children are more sensible than others. I’ve heard of this book before and heard that it’s really good. Thanks for sharing on #KLTR Kids Love to Read. I will look out for this at the library.